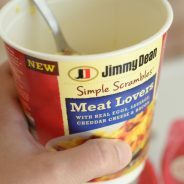 This post is sponsored by @JimmyDean, all thoughts and opinions are my own. 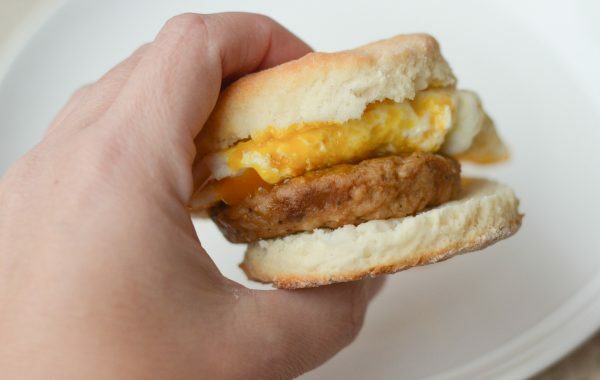 Start breakfast with simple Homemade Buttermilk Biscuits with Sausage & Egg any day of the week! Let me start by saying we are certainly breakfast people in our family. My kids’ favorite night of the week is when we do breakfast for dinner. 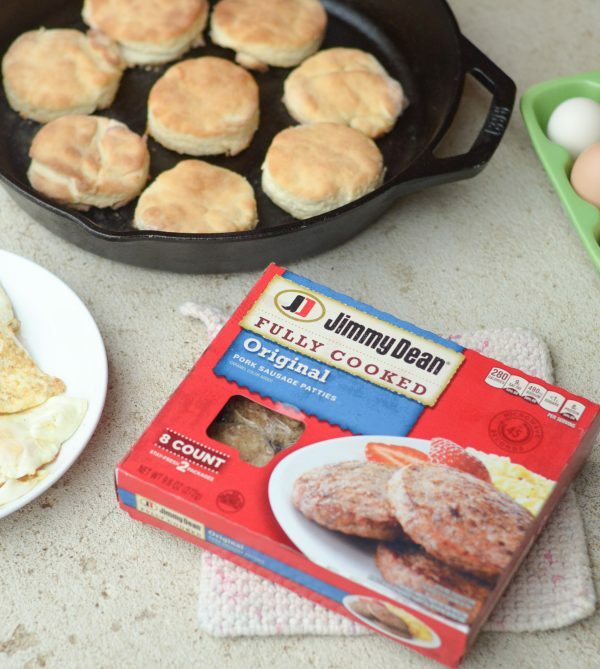 One good thing though is that with Jimmy Dean® Fully Cooked Pork Sausage Patties, you can easily make a delicious big breakfast any day of the week like these Homemade Buttermilk Biscuits with Sausage & Egg. I have been buying this sausage for years as a regular staple to our weekly grocery shopping trips. Basically, since my husband and I first got married years ago it’s always been a regular each week. 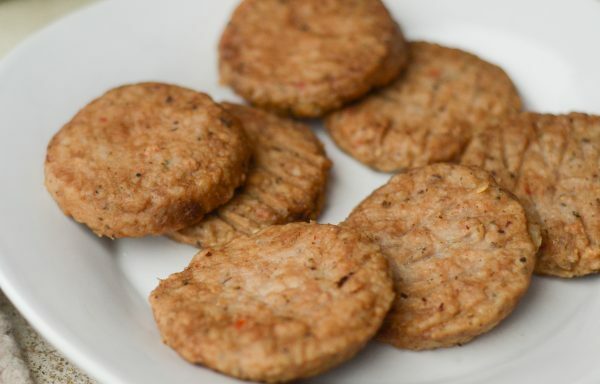 It’s simple to warm up and use for any type of breakfast you prefer from biscuits to omelets, it can be used in mere minutes. 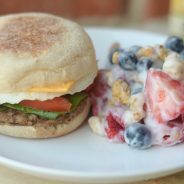 For years, I’ve struggled with blood sugar issues and it’s vital for me to get protein in my breakfast. 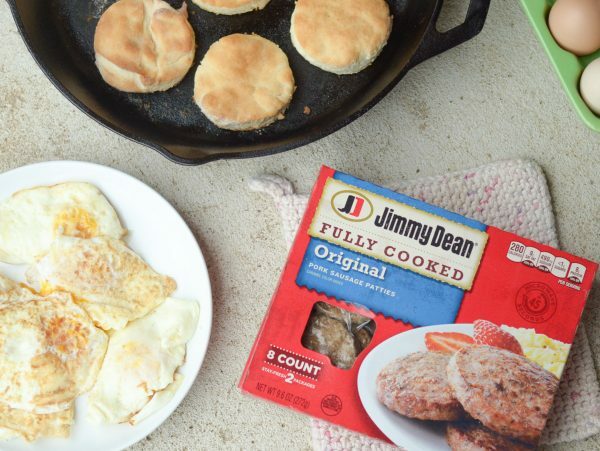 I love that I can warm these up and have a boost of premium ingredients and protein before I even get out the door. I always have these as a regular item ready to order when I go online to order my Walmart grocery order. I’m certainly being spoiled with Walmart Grocery Pickup; I don’t know what I used to do without it? If you haven’t tried it yet, you must try it…you’ll be amazed at the time you get back from it! 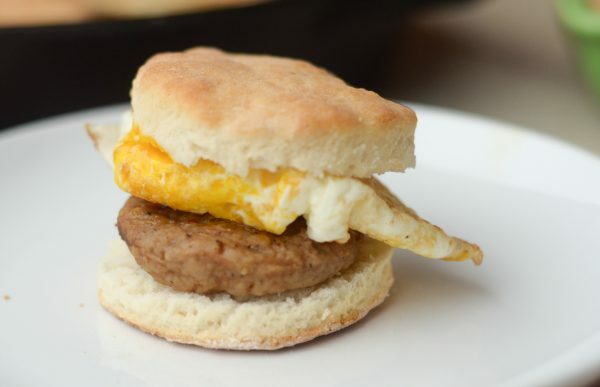 This past week, I decided to whip up some biscuits in the morning to make these Homemade Sausage & Egg Biscuits. The kids weren’t complaining at all, they were thrilled to see some delicious biscuits ready for them in the morning. I have found that I can prepare the batter the night before and easily make these in the morning so they are fresh and warm. 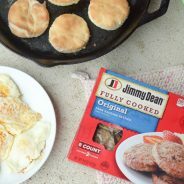 I cut the biscuits, baked them up and then served them with an egg and sausage for a delicious breakfast before a busy day of work and school. Sometimes it’s nice to have a few minutes, a homemade breakfast, cup of coffee, and a little bit of calm before a busy day, isn’t it? I sure think so! 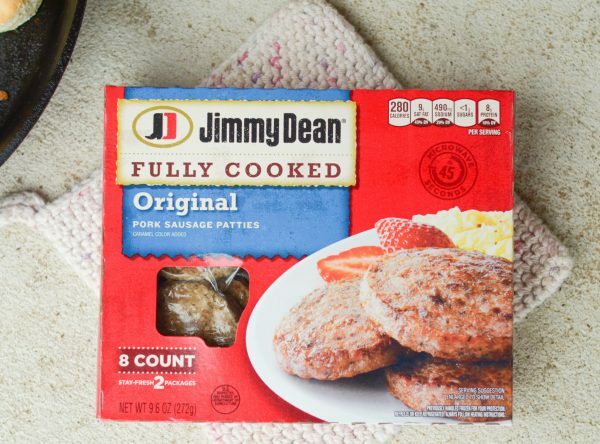 Be sure to look for the ibotta offer for the Jimmy Dean® Fully Cooked Pork Sausage Patties and head on to Walmart to get them. 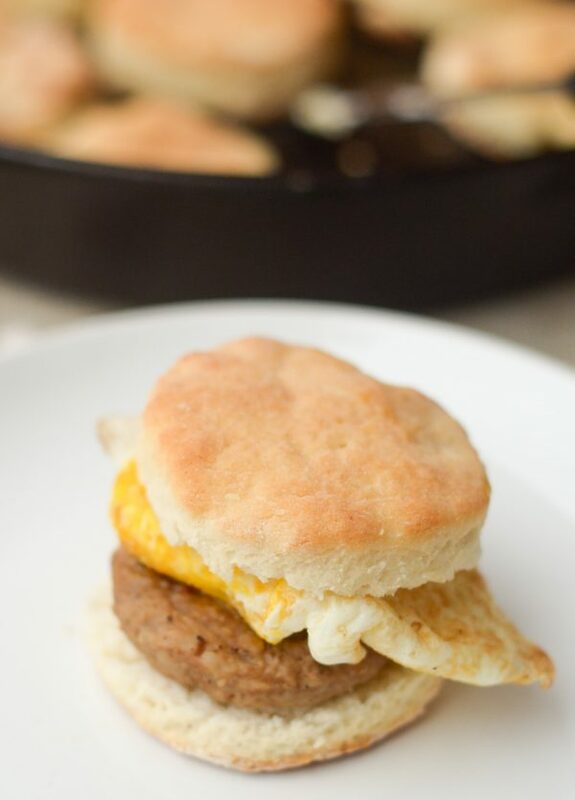 I can assure you that you won’t be disappointed and then whip up some tasty Homemade Sausage & Egg Biscuits! Combine the flour with the baking powder, sugar, salt, and butter. Mix this well. Add in the milk until the batter is formed. Roll the batter on a floured surface and use a biscuit cutter to cut the biscuits. 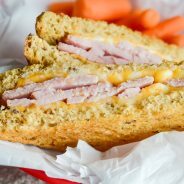 Place in a greased cast iron skillet and bake for 10 minutes or until golden brown. Remove and let the biscuits cool. Slice and serve with a warm egg and sausage. Love these, and love the name of your blog too!